Genetic engineering has become a valuable scientific tool. It has enabled us to gain tremendous insight into the mechanisms of plant reproduction, disease resistance and other useful traits. However, commercial use of this technology has not lived up to expectations and has created serious hurdles for plant breeders. That in turn hampers genetic progress and innovation. Jim Myers led development of the Indigo Rose tomato at Oregon State University. In fact, conventional plant breeding can achieve results efficiently and for much lower cost. Take the case of the Indigo Rose tomato, which has a purple skin and contains high levels of antioxidant compounds known as anthocyanins. Produced with standard plant-breeding techniques, the variety developed by my program became commercially available in 2011. It has been successful beyond my wildest imagination. Already sold for three seasons in the United States, seeds will soon be available in Japan, Canada and Europe. It has been featured in numerous articles and blogs and was recently highlighted in the premier epicure’s magazine, Bon Appétit. Last year, there were a half-dozen new Indigo varieties, some developed by breeders who had easy access to our seeds. Next year, there will be more than 20 new varieties of Indigo tomatoes, three of them from my program and the rest from researchers who crossed our varieties with other types of tomatoes. Researchers in the United Kingdom have also developed a high-anthocyanin tomato through genetic engineering (GE). While the mechanism that amplifies anthocyanin production in fruit is similar in conventional and GE tomatoes, there are differences in appearance. Anthocyanins in Indigo Rose are light-induced and produced in the skin, whereas the GE tomato genes are expressed in all fruit tissues at all times, resulting in higher concentrations. While the research on both types of tomatoes began at about the same time, the GE tomato is not commercially available. It has yet to clear the regulatory hurdles in any country. Since European countries tend to restrict GMOs, it may actually be sold in United States and Canadian markets before being commercialized in Europe. I estimate that the development cost for Indigo Rose was less than $100,000. Estimates for development and commercialization of a GE crop run from millions to hundreds of millions of dollars. As a vegetable breeder, I have an interest in distributing the results of my work as quickly as possible. With genetic engineering, that doesn’t happen. Companies that maintain patents on GE crops lock up the seeds and don’t allow them to be used by others for breeding. Or if they do, contracts allowing one to use the seeds have many limitations, and license fees to deploy new varieties can be prohibitively expensive. Plant breeders used to share their seeds quite readily, a practice that led to steady genetic improvement in our crops. Now, intellectual property control that was first implemented for genetic engineering is widely applied to conventionally bred crops. As a result, there is reduced sharing among breeders. The Green Revolution was built on open collaboration, but without such cooperation, similar rates of advance are unlikely. 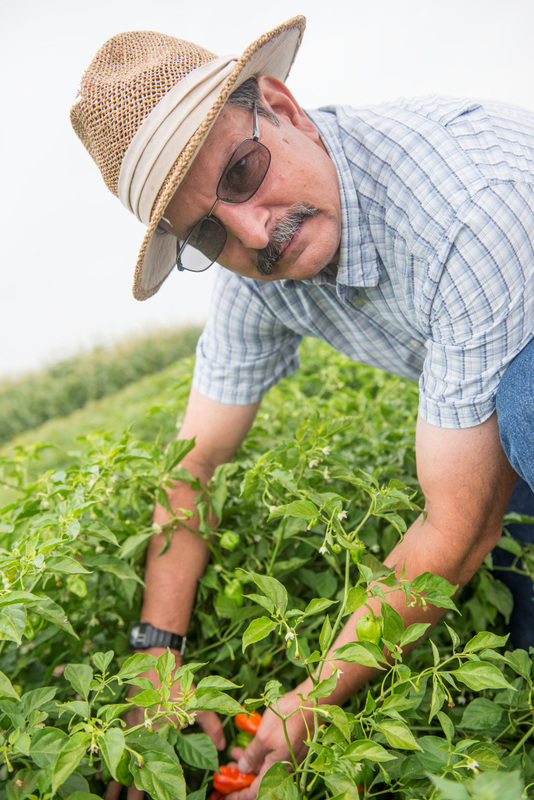 Jim Myers holds the Baggett-Frazier Vegetable Breeding Endowed Professorship at Oregon State University. Linux for Lettuce. Read more about Myers’ experiences with patent claims, vegetable breeding and the Open Source Seed Initiative.